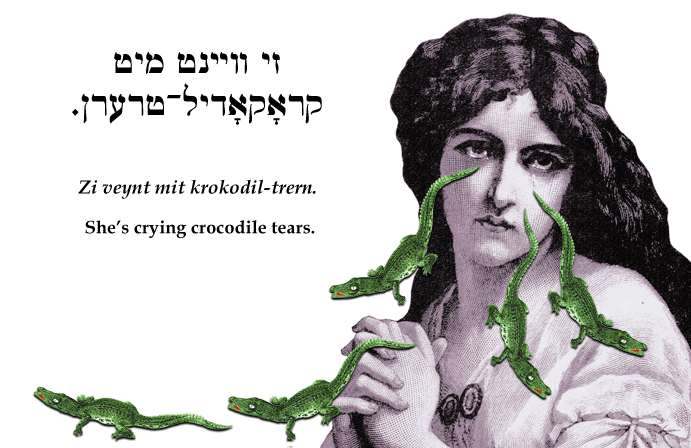 Yiddish Expression: She's crying crocodile tears. זי וויינט מיט קראָקאָדיל טרערן. SOURCE: Stutchkoff, Der Oytser fun der Yidisher Shprakh. Crocodile tears are fake tears. See Crocodilian Biology Database for information on real crocodile tears.